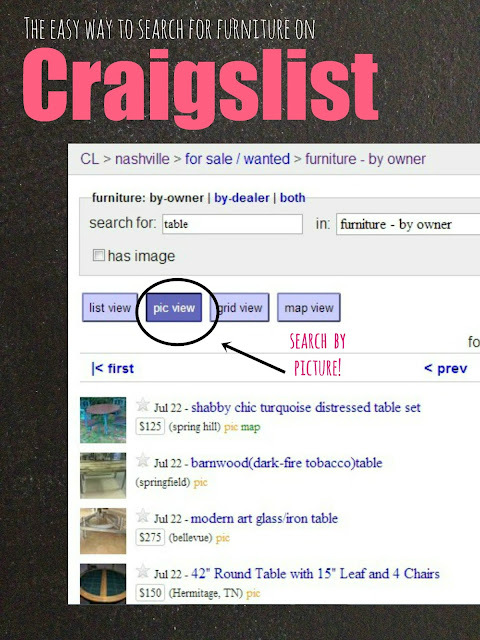 When it comes to Craigslist shopping, frequency is key. It's just like thrifting in that the more you do it, the better stuff you're gonna find. 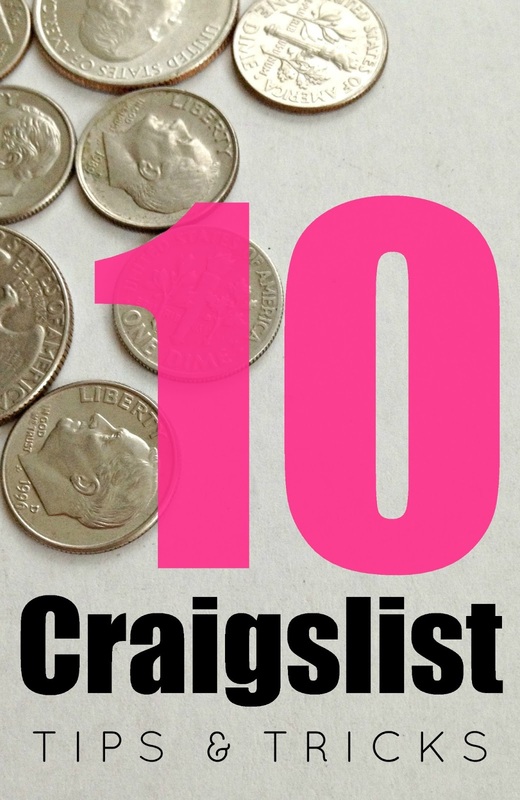 There are hundreds of items in each area that go up on Craigslist every single day, and most of the time the good stuff is gone in less than a day. I check the site several times a week and search for the specific items I'm looking for. With a little persistence, I can usually find exactly what I looking for. For example, after a few weeks of searching for a very specific item...a Queen Anne style tufted upholstered chair (for under $20...mandatory. ), I found this hottie for $15. This little thang needs some work, but I'm thinking it will be the perfect subject for me to learn how to reupholster something with tufting. This experiment could go downhill FAST, so wish ol' blue luck. Knowing how to use keywords is super helpful when finding the right stuff on Craigslist. Let's use my Queen Anne tufted chair as an example. 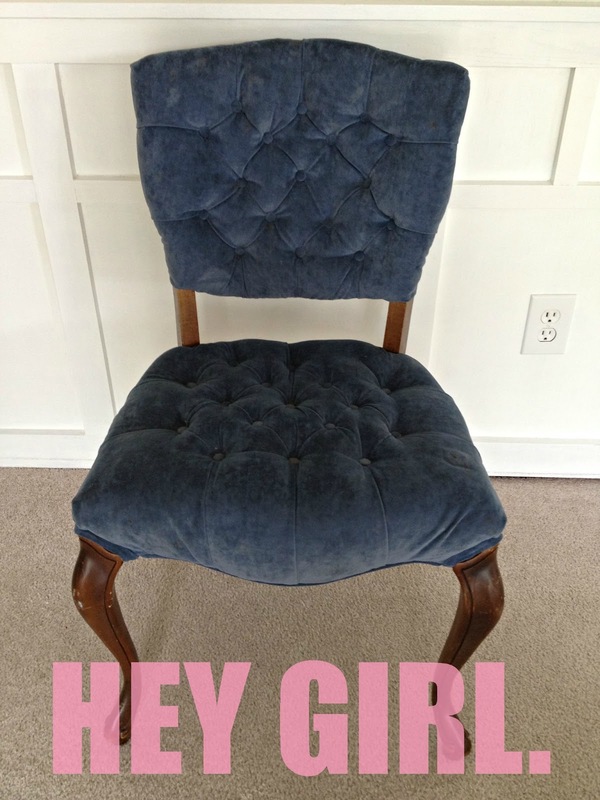 If you are looking specifically for that, search 'Queen Anne Tufted Upholstered Chair'. If nothing shows up with your super specific search, try leaving out different words and just searching 'Queen Anne Chair' or 'Tufted Chair' or 'Upholstered Chair'. You never know how people will describe their item, so you may have to use several variations of your keywords. 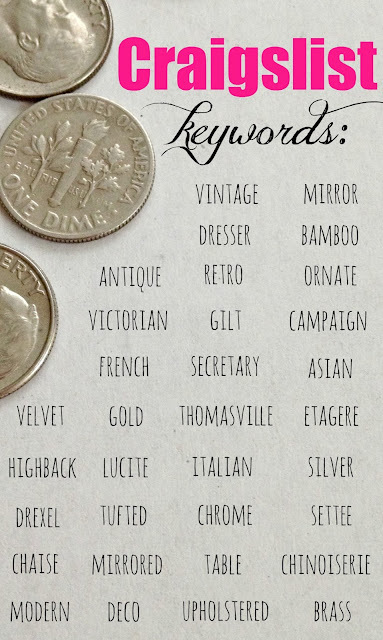 Personally, I love using Craigslist to find great antique and vintage pieces that can't be found in stores anymore, and these keywords are a great starting point. For example, I found this amazing mirror just today for $50. If you can't find anything with keywords, try different spellings of the word. Misspellings are a common problem on Craigslist, and if a word is spelled wrong, you may not find the listing. 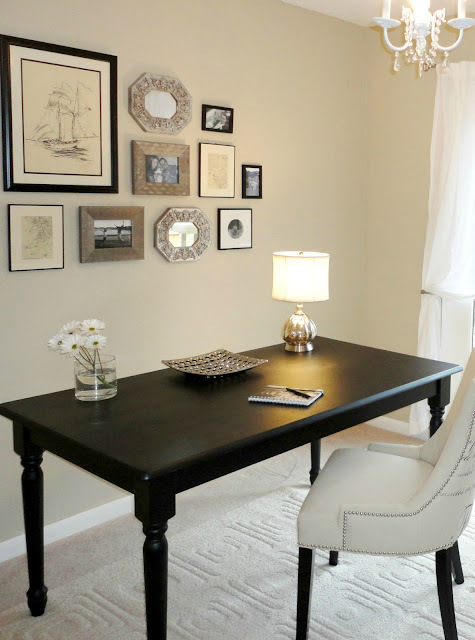 For example, when I found my office desk, I was searching for 'tables', as I knew I wanted to use a small dining table as my desk. After coming up empty handed, I randomly decided to try searching 'tabel' and that's when I found the perfect table for $50 that had gone unnoticed for two weeks. I realize it's ridiculous, but you would be amazed at how often this trick has worked for me. Similar to #3, if nothing else is working, try searching for synonyms of the item you want to find. For example, when searching for my table, I searched for all sorts of related items like the following: dining table, entryway table, buffet, console table, sideboard, wooden furniture, furniture, dining set, desk. Eventually, it's highly likely you will find something. To make all of this searching a bit easier, I always choose to search in 'pic view', and then also click on the tab above that says 'has image'. This filters out all the listings that don't have images, and then allows you to see all the pictures in the rest of the listings. You can hover over any of the thumbnails, and the big picture will pop up. It's an awesome feature and makes life so much easier. 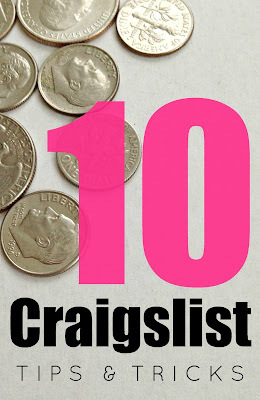 If you're life revolves around Craigslist. UNITE! #6. Look for things with a great shape. 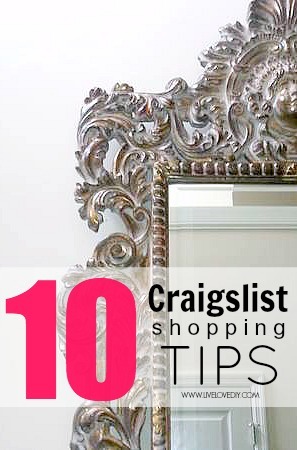 Once you've actually found an item you're interested in, it's time to contact the seller. I usually prefer to email a seller first and negotiate the price right off the bat, offering less than what it is listed for. Once the details are worked out, I follow up with a phone call to setup the meeting. Here's what you need to know. 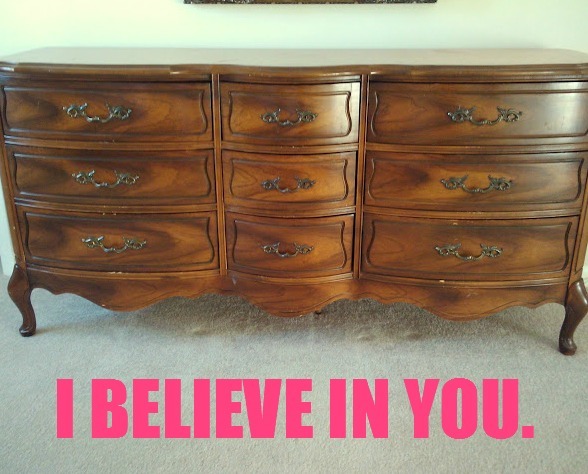 Craigslist is like a garage sale. People usually expect you to haggle. Basically, at the 8AM garage sale you're gonna pay $30 for that amazing lamp. By 3PM, the seller is loading it in your van for free. When I was looking for a headboard for our guest bedroom last year, I found a great wood headboard for $50, and was able to negotiate it down to $25 by letting the seller know that I could pick it up that same day. I've learned from selling on Craigslist, that if a buyer can't arrange to pickup the item quickly, I'll usually just move on to another interested buyer. Buyers can be flaky like a croissant on Craigslist, so sellers usually won't wait around for you if there are other interested buyers. You'll get dropped like a hotcake. If you want to get the good stuff, and at a great price, let the seller know that you can get the item ASAP and then follow through. #9. Feel free to say no thank you. If you show up to get the item, and it just isn't what you expected, say no thank you. For example, I should have totally employed this tip on the table that is still haunting me to this day. Do your due diligence before hand and ask about measurements or anything else not in the listing so that you can avoid an awkward situation and avoid inconveniencing some sweet old man with a table. We prefer to buy from people we've talked to on the phone. It leaves a record, and puts us at ease by hearing their voice. We always setup our meeting at a public location away from our home and let a friend or relative know when and where we'll be, along with the make/model of the car and the name of the person we're meeting. I almost always buy smaller items that can be transported to a secondary location, but if I have to go to someone's home, I always take Jesse or a super burly relative with me. Burly men come in handy when lifting large items and/or fending off weirdos. 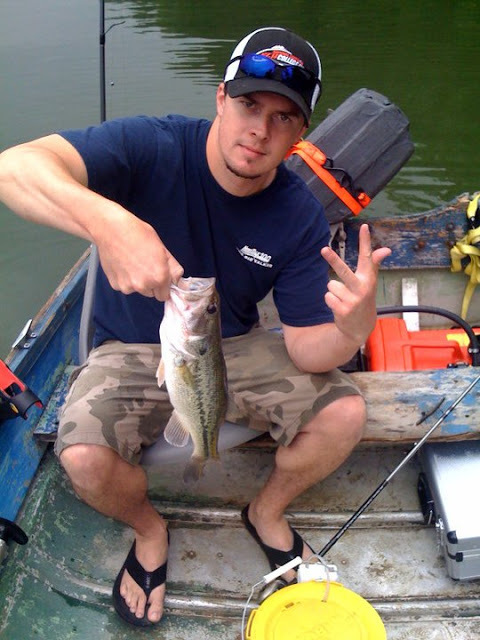 Don't make him fish you. Basically, just be cautious, trust your gut, and do things the right way. 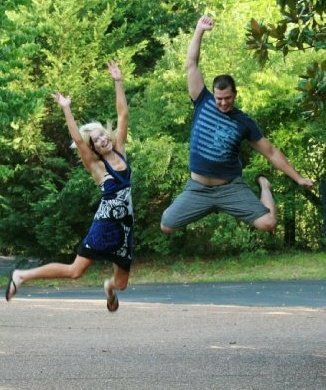 As long as you are careful, you can really find some awesome stuff and have tons of ridiculously odd fun doing it. So, that is all for today, my friends! Thanks so much for stopping by! Feel free to pin this post so you can find it later!